The near meltdown of Fukushima, the upheavals in the Middle East, the BP oil spill, and the looming reality of global warming have reminded the president and all U.S. citizens that nothing has more impact on our lives than the supply and demand for energy. Its procurement dominates our economy and foreign policy more than any other factor. But the "energy question" is more confusing, contentious, and complicated than ever before. We need to know if nuclear power will ever really be safe. We need to know if solar and wind power will ever really be viable. And we desperately need to know if the natural gas deposits in Pennsylvania are a windfall of historic proportions or a false alarm that will create more problems than solutions. Richard A. Muller provides the answers in this must-read manual for our energy priorities now and in the coming years. 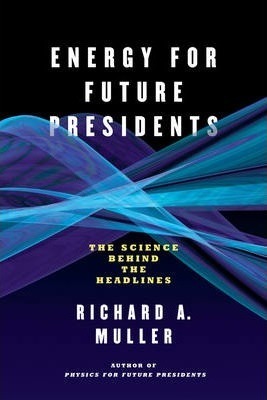 Richard A. Muller is professor of physics at the University of California, Berkeley, and the best-selling author of Physics for Future Presidents. For his outstanding work in experimental cosmology, he was awarded a 1982 MacArthur "Genius" Fellowship, and also a share of the 2015 Breakthrough Prize in Fundamental Physics for the discovery of dark energy.